London: Ander Herrera remains keen to stay at Manchester United despite a stand-off with the club over a new deal. The Spain midfielder is out of contract at Old Trafford at the end of the season, but talks have been going on since last summer and the club are so far refusing to meet his wage demands. 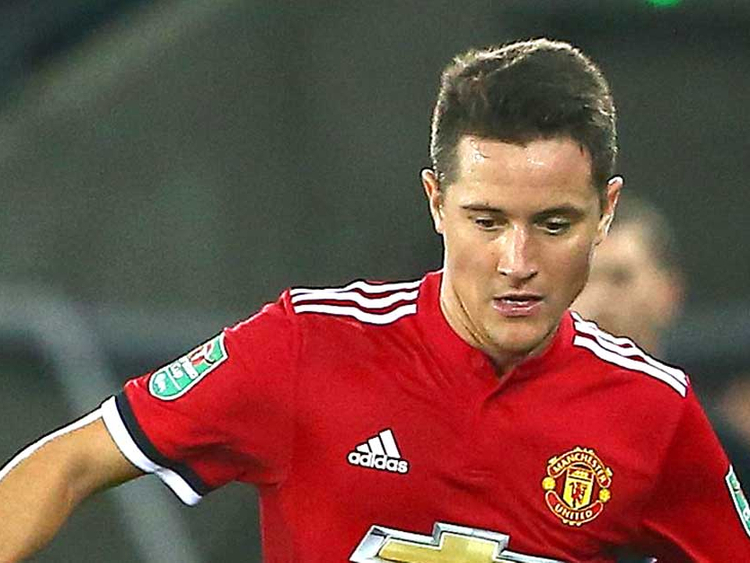 Paris St-Germain are said to be monitoring Herrera’s situation and, conscious he would be available on a free transfer if no agreement is reached with United, view him as a relatively low-cost midfield option. Herrera, who has become an integral figure under caretaker manager Ole Gunnar Solskjaer, sees his future at United and is hopeful a breakthrough can be reached. The impasse in talks is a further example of how Alexis Sanchez’s huge pounds 500,000-a-week deal has compromised the overall wage structure at Old Trafford and led to other players demanding inflated salaries. United do not want to lose Herrera but, so far at least, have been reluctant to offer such a significant increase to a player who will be 30 in August. Juan Mata, who is 31 next month, is also a free agent in the summer and has refused to accept United’s offer of a one-year extension. Mata would like a longer deal primarily, and more money than is currently on the table. United face a similarly pressing battle with a third Spaniard, goalkeeper David de Gea, who is seeking parity with Sanchez. United’s player of the season in four of the past five years and arguably the world’s best goalkeeper, De Gea wants to double his existing pounds 240,000-a-week deal but the club have yet to bow to his wishes. Meanwhile, Neymar is facing the prospect of a suspension after the PSG forward was charged by Uefa for his foul-mouthed outburst at officials following the French club’s Champions League defeat by United. Neymar watched the game from the stands because he was unavailable due to a foot injury, but he reacted furiously after United were awarded a controversial stoppage-time penalty by the video assistant referee. Marcus Rashford dispatched the spot-kick to secure a 3-1 win and United’s progress to the quarter- finals on away goals. There were also reports of the Brazilian having to be restrained by PSG staff from entering the match officials’ room to confront them about the decision after the game. If found guilty at a Uefa control, ethics and disciplinary body hearing - a date for which has still to be set - Neymar could face a fine and/or a suspension of between one and three matches.